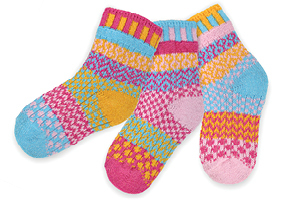 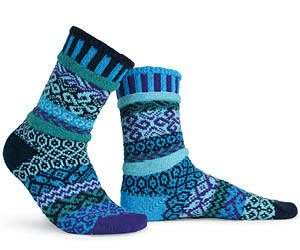 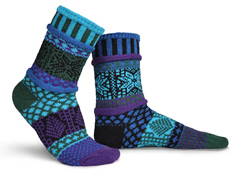 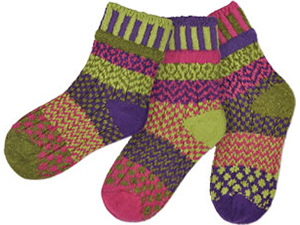 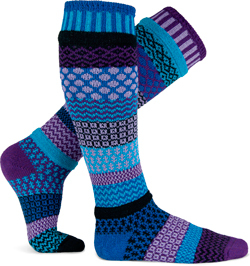 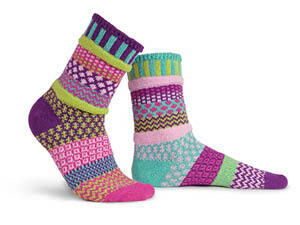 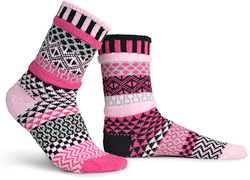 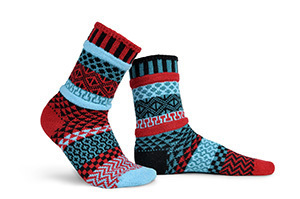 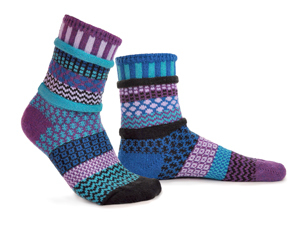 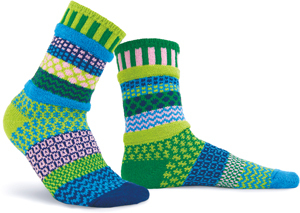 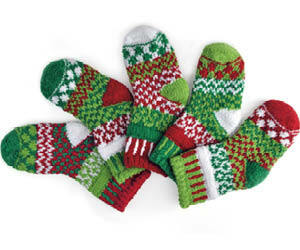 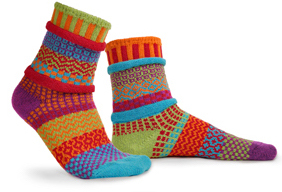 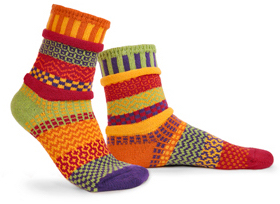 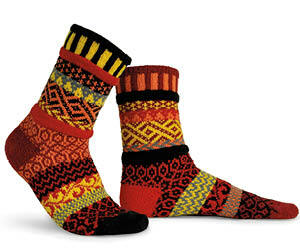 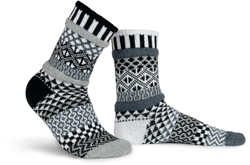 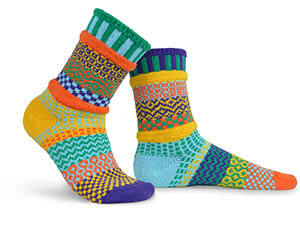 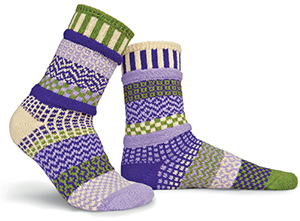 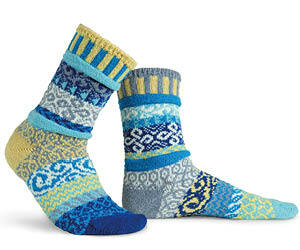 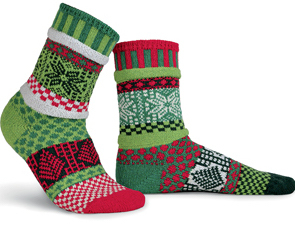 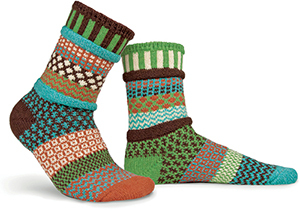 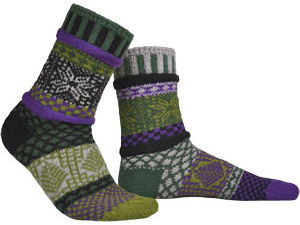 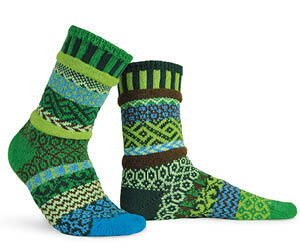 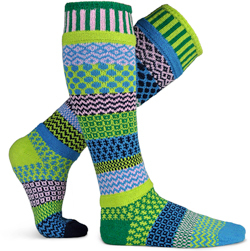 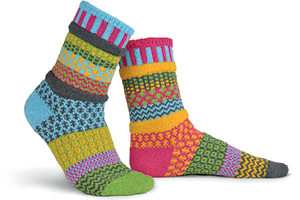 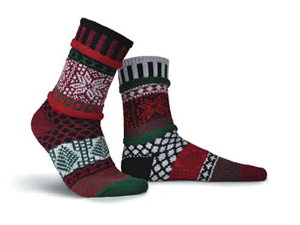 Life's too short for matching socks, especially when you can wear these fun and beautiful socks! 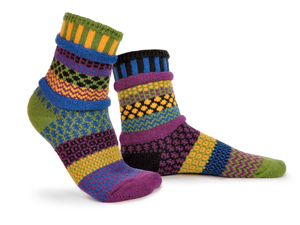 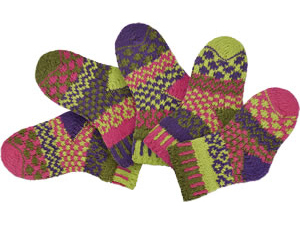 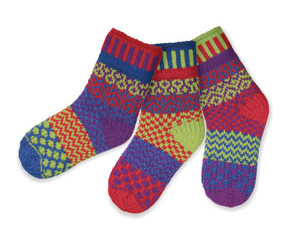 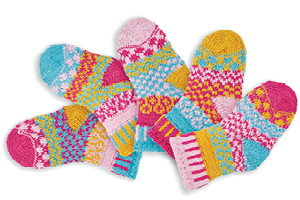 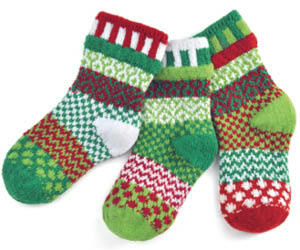 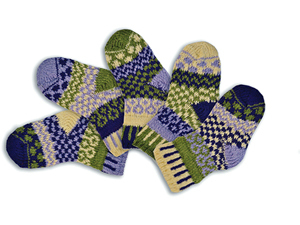 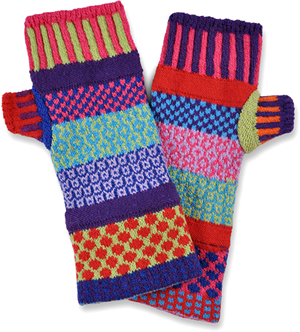 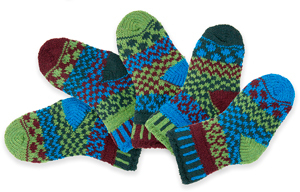 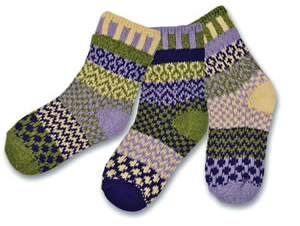 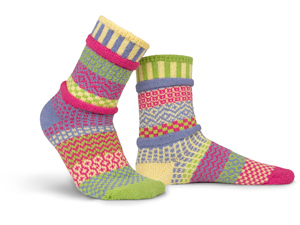 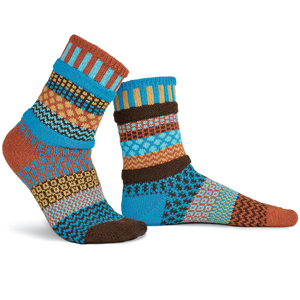 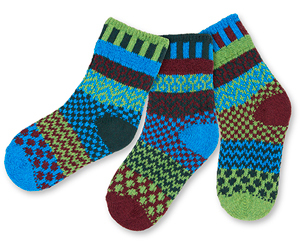 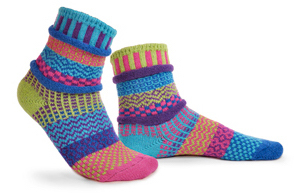 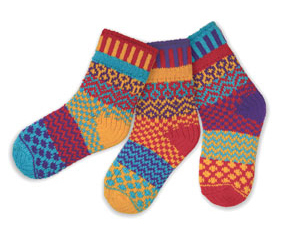 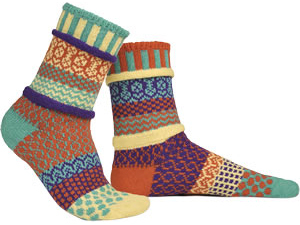 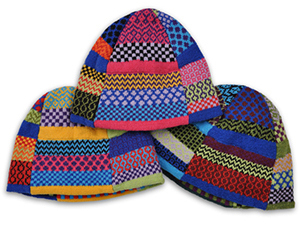 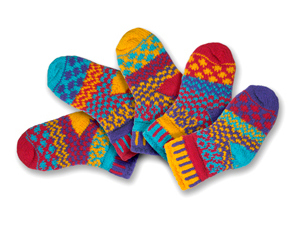 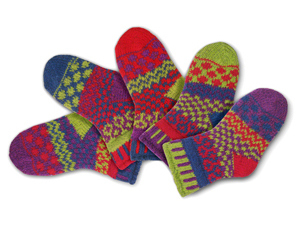 Proudly knitted in the U.S.A. with recycled cotton, these multipatterned and colourful mismatched socks are an excellent gift for adults, children, and babies. 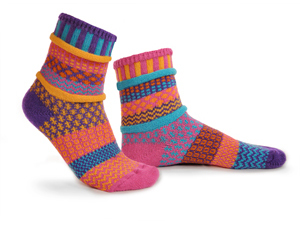 Whether you wear them all day at work, save them for snuggling up on the couch at the end of the day or use them to help keep feet warm at night, a pair of Solmate Socks is a unique gift that's sure to bring a cheerful smile to the wearer. 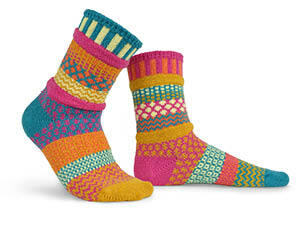 All content Copyright © 2000-2017 Marianne's Solmate Socks, Inc. All Rights Reserved. 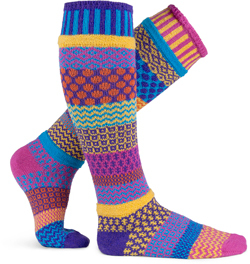 Socklady.com and logo are trademarks of Solmate Socks, Inc.